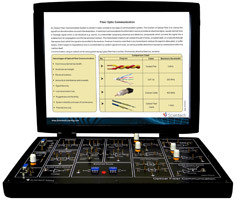 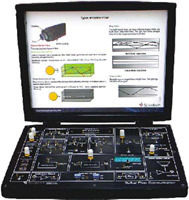 Scientech 2501A Optical Fiber Communication TechBook demonstrate simplex method of transmitting information from one place to another by sending pulses of light through an Optical fiber. 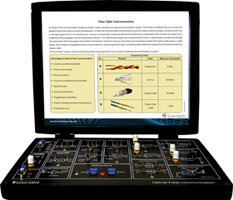 The TechBook demonstrates the properties of Simplex Analog and Digital Transreceiver, characteristics of Fiber Optics cable, Modulation / Demodulation techniques, Bit Error Rate measurement and observation of Eye Pattern. 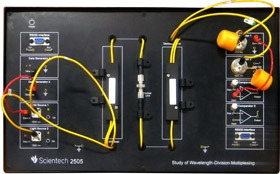 A large number of experiments are included in the workbook and many more can be performed using Scientech 2501A. 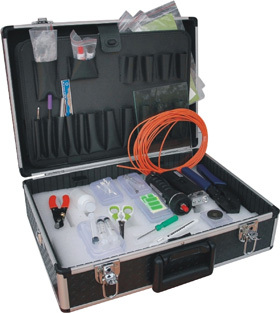 Scientech 2501A, Optical Fiber Communication is an ideal teaching aid to enhance education, training, skills & development amongs our young minds.